Festive Friday, launched by the GCA (Greetings Card Association) last year, gets Christmas card sending underway with a bang! 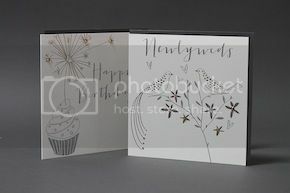 It’s successful debut last year can only be built on this year as publishers, suppliers, retailers create a snowstorm of christmas sends to drop through the nations letterboxes to prompt the card receivers to buy and send their cards. Always showing enthusiasm to participate we’ve embraced the Christmas spirit in the Belly Button studio and got our glittery sends in the post too! 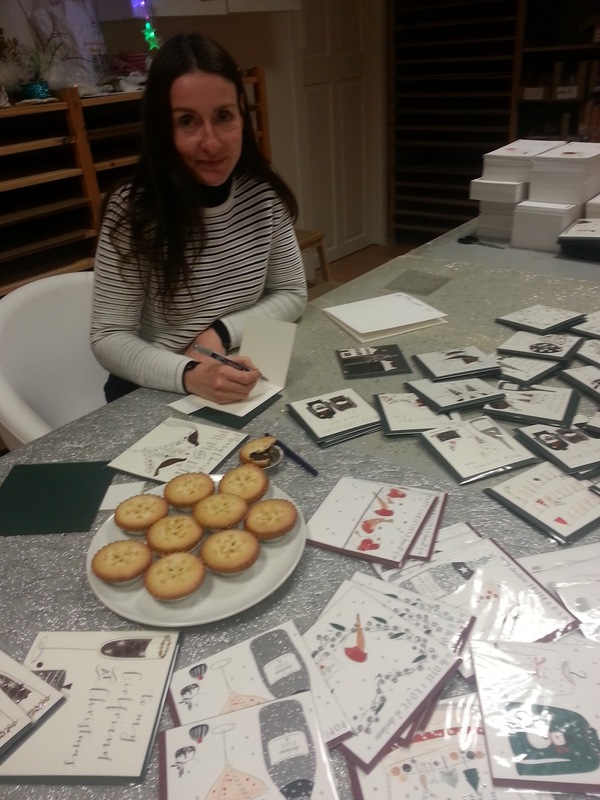 With some cups of tea and mince pies our big boss lady Rachel Hare leads the way in writing Christmas wishes to be sent to family and friends! 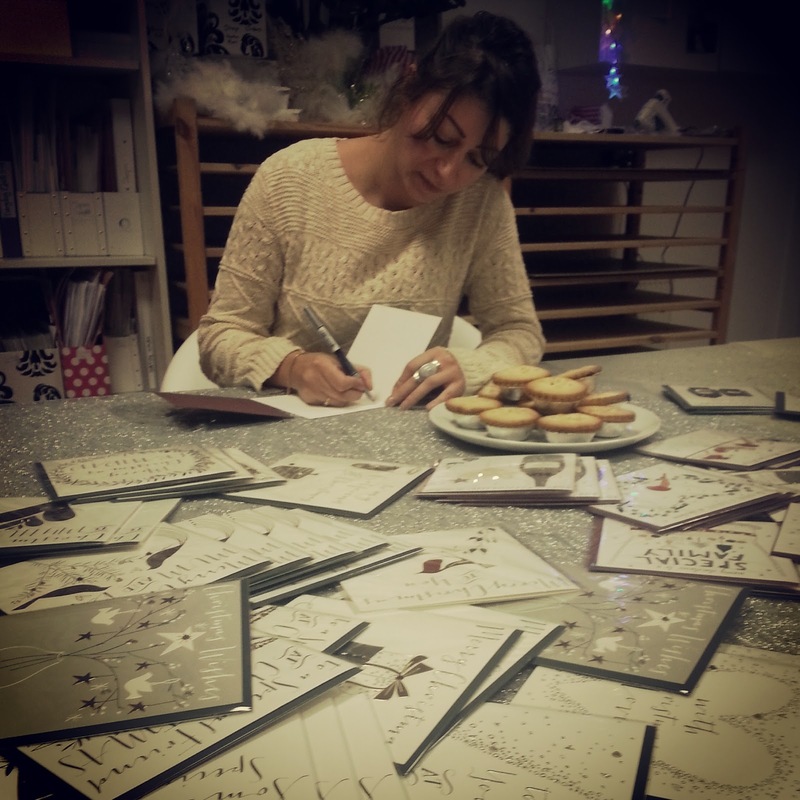 Our lovely Katie, and below Kerry writing Christmas greetings to family and friends! 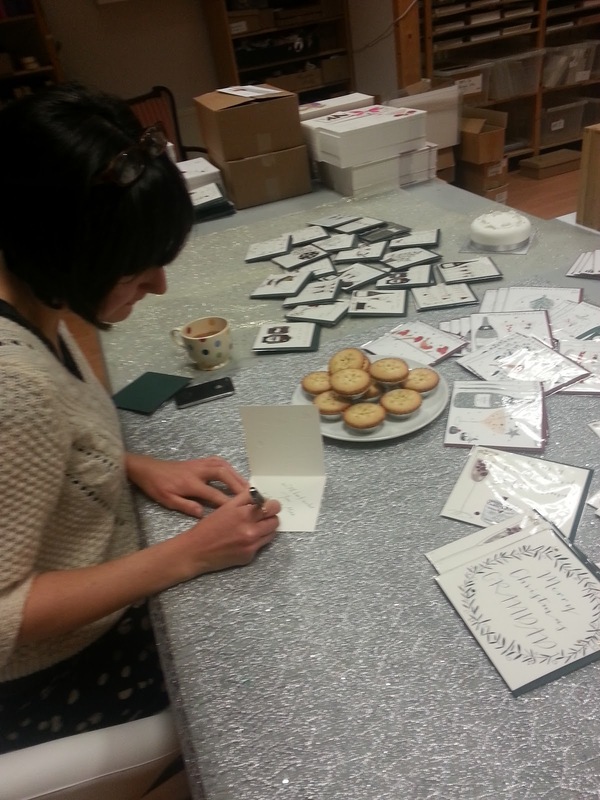 Get your Christmas sends underway! Our award winning Platinum and Paloma collections available to buy as Christmas packs @ bellybuttondesigns.com. We’ve also spiced marmalade and our loveable miniature bijou available too. To view all our Christmas packs click here. 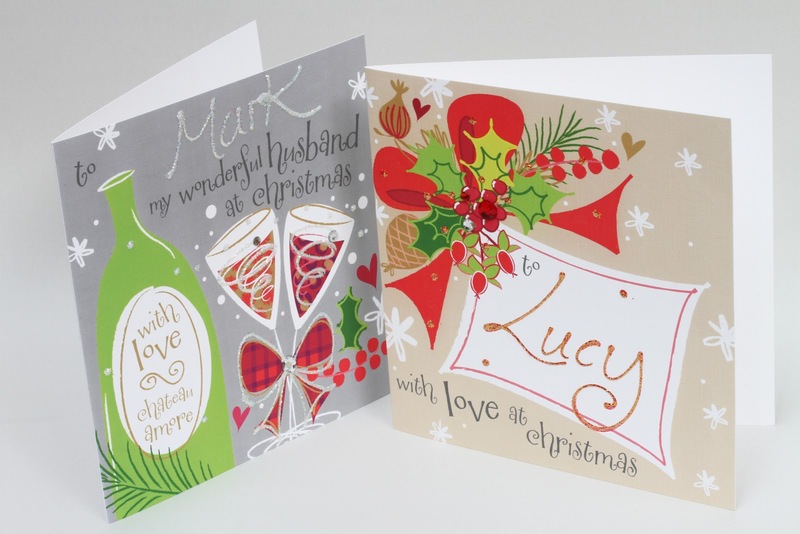 For the ultimate in Christmas card lux you can send a gorgeous glittery hand painted personalised card from our online shop that’s truly unique, click here. To view all our personalised Christmas designs click here.